As the market for solar powered devices matures, more and more consumers will demand aesthetics to play a bigger role in the overall design of the product. Adding a black rectangular solar panel on top of a device might not be good enough anymore. In the past few years we have seen a proliferation of solar powered products in the consumer market. 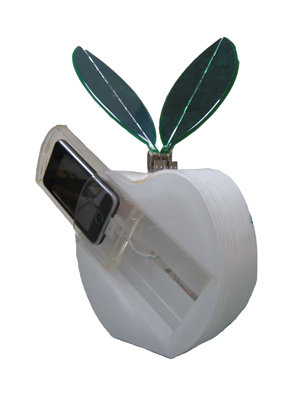 From solar garden lights to solar iPhoneTM cases more and more solar powered products are brought out to the market to take advantage of the power of the sun. 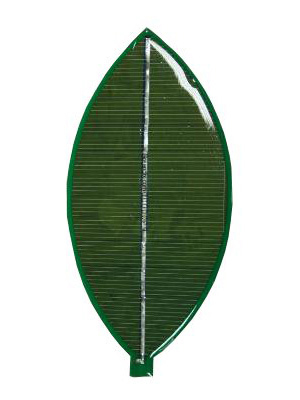 In most cases, the kind of solar panels used are the small dark silicon-based panels. This type of solar panel provides an adequate power generation at a reasonable cost and is basically good enough to get the job done. What if good enough is not enough? As with most paradigm shifts in history, at first the main objective is to provide a practical and sensible solution to a problem. Subjective things like aesthetics are usually secondary considerations at best. In the case of solar powered devices, the original problem was to find a way to power devices using the sun light and the solution offered by most manufacturers is the one we previously mentioned. Solar energy is quickly entering the next phase of adoption in which aesthetics play a role just as important as efficiency and costs. We can see this shift with the introduction of new BIPV products such as solar roof tiles. The solar market is now mature enough that some consumers no longer just want solar roof panels for their home, but solar panels that can complement the general aesthetics of their homes as well. This brings back the original topic of solar powered consumer devices. What if the same principle could be applied to solar powered consumer electronics? As the market for solar powered devices matures, more and more consumers will demand aesthetics to play a bigger role in the overall design of the product. Adding a black rectangular solar panel on top of a device might not be good enough anymore. Customizing the shape and colors of the solar panels also increases the perceived value of the product and make it stand out in a market that is getting crowded day by day. 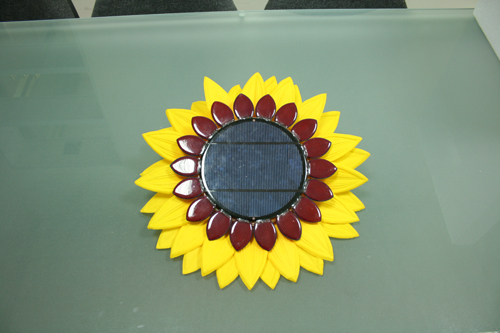 Sonelis Technologies offers manufacturers solar panels in almost any shape and color needed for their application. These customized solar panels allows designers to use solar panels as a design element in a much more effective way as the solar panel is no longer constrained to the usual dark rectangular ones anymore. Moreover, these new kinds of solar panels open the doors to a number of new applications where solar panels can blend seamlessly with its surroundings. Manufacturers need to come up with new ways to make their product stand out in order to keep pace with the rapid developments in the solar industry. Custom shape solar panels will be the big trend in the next few years where they can seamlessly blend with their surroundings, while providing all the power needed. Philip Fu is the CEO of Sonelis Technologies and is passionate about all things solar. You can reach him here.